ICE says Daniel Ramirez Medina can be deported for no reason. That’s wrong. 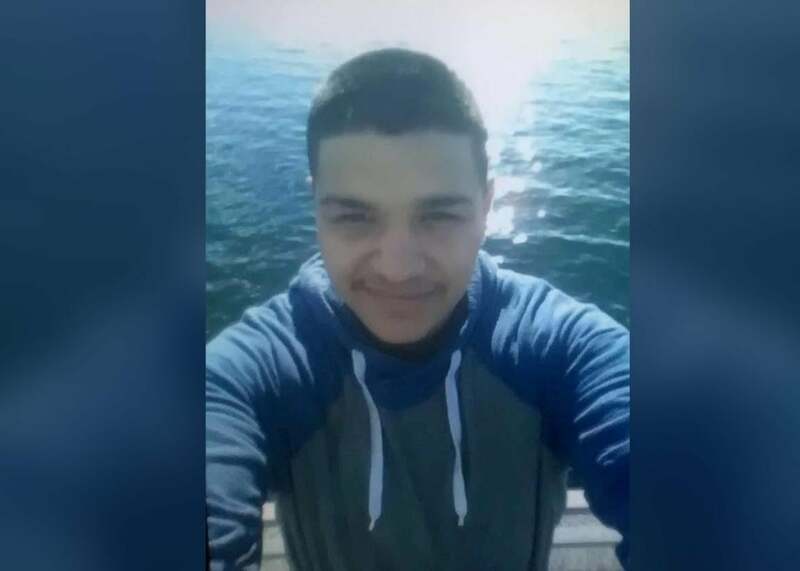 Daniel Ramirez Medina, 23, a Mexican immigrant with a work permit who was arrested last week near Seattle, in a photo released on Feb. 16. Update, April 19: On Tuesday, USA Today reported that Customs and Border Protection officers had detained and deported Juan Manuel Montes, a participant in the Deferred Action for Childhood Arrivals program. As a DACA recipient, Montes—who was brought to the United States at age 9—has a legal right to live and work here. When a CBP officer interrogated Montes, however, his proof of DACA status was in his wallet, which he left in a friend’s car. The officer refused to let Montes retrieve his wallet; instead, he deported Montes to Mexico within three hours. Montes is the first DACA recipient to be deported under President Donald Trump. Although Trump has claimed that he will allow the DACA program to remain in place, federal agents have now targeted multiple DACA recipients for detention in deportation. Below is an article Mark Joseph Stern wrote in March about the constitutional safeguards that bar the deportation of DACA beneficiaries. Daniel Ramirez Medina has been locked in a Tacoma, Washington, immigrant-detention center for a month. Neither he nor his attorneys are entirely sure why. Ramirez’s parents brought him into the country illegally as a child, but he is now a beneficiary of President Obama’s Deferred Action for Childhood Arrivals program. As a DACA recipient, Ramirez has “lawful presence” under the law, allowing him to stay and work in the United States. He just renewed his DACA status in May, undergoing another background check that confirmed he presents no danger to the country. But in February, Immigration and Customs Enforcement agents arrested and detained him, allegedly declaring that his DACA status didn’t matter because he wasn’t “born in this country.” His status as a Dreamer has now been rescinded, and ICE has commenced deportation proceedings. Ramirez sued in federal court, alleging a violation of his constitutional rights and demanding immediate release. The government responded by arguing he had no right to sue in federal court before he’d exhausted the labyrinthine immigration-appeals process—and that even if he did have the right to sue, the Constitution did not forbid his detention and deportation. On Tuesday, U.S. Magistrate Judge James Donohue gave Ramirez a partial victory, allowing his suit to proceed in federal court. But he declined to release Ramirez, announcing that the case turned on a critical, unresolved constitutional issue that necessitates further briefing. He’s right about that: Ramirez’s case is a potential landmark, one whose resolution could bolster or diminish the rights of the nearly 800,000 DACA beneficiaries in the U.S. today. At bottom, it is a case about promises—namely, the vow that the government made to DACA recipients in granting them lawful presence. Does due process bar the government from revoking its promise of liberty to DACA beneficiaries? To Ramirez’s dream team of lawyers, the question has an obvious answer: Of course due process prevents the government from breaking the promises it made in implementing DACA. Ramirez is represented by renowned litigator Theodore Boutrous, Harvard professor Laurence Tribe, University of California–Irvine School of Law Dean Erwin Chemerinsky, civil rights litigator Mark Rosenbaum, and Seattle-based attorney Luis Cortes. To them, the case represents a matter of basic principles. The Fifth Amendment proscribes the government from depriving any person “of life, liberty, or property, without due process of law.” On a Tuesday conference call, Boutrous explained that DACA created a “liberty interest” under the Due Process Clause by promising not to deport beneficiaries who followed its guidelines. “From a due-process perspective,” he said, “the government made promises, and individuals like Daniel relied on those promises. They have a liberty interest in being free from government detention without due process of law.” But, Boutrous asserted, “the government, in the face of its own promises, without any indication that he committed a crime or did anything wrong, took him away and detained him.” He called it “an extraordinary case,” one that illustrates that the government cannot simply “pull the rug out from under these individuals, strip them of their status, detain them without judicial review. … If you just look at basic due-process principles, it seems to us to be an easy call” that this violates the Constitution. Blackman thinks DACA’s “prosecutorial discretion” hook means the program’s recipients have no constitutionally protected liberty interest in remaining in the United States. “Isn’t the essence of ‘discretion’ that it does not [need] to be exercised in every case?” But this interpretation of DACA can’t be right: It would render the program purposeless at best, dangerous at worst. If the government can revoke DACA status at any time, immigrants would have little reason to apply for it. Registering for DACA requires revealing your undocumented status, along with a great deal of personal information, in return for the promise of deferred deportation. Under Blackman’s view, the government could then turn around and deport you anyway—for a good reason, a bad reason, or no reason at all. Ramirez falls into that last category: The government has not really explained why it wishes to deport him. Initially, it insisted he was a gang member, using evidence that appeared to be doctored by ICE agents. Since then, government officials have failed to provide any serious proof of Ramirez’s alleged gang affiliation. Instead, they’ve argued that federal courts have no business reviewing Ramirez’s case and that they are empowered to deport him merely because he is undocumented. The argument that the federal judiciary should stay out of this conflict failed spectacularly on Tuesday, when Judge Donohue vigorously affirmed the duty of the courts to oversee cases like this one. The argument that Ramirez can be deported because he’s undocumented is more complicated and may take much longer to resolve. But Tribe is optimistic that the courts will rule in favor of his client, DACA technicalities aside.